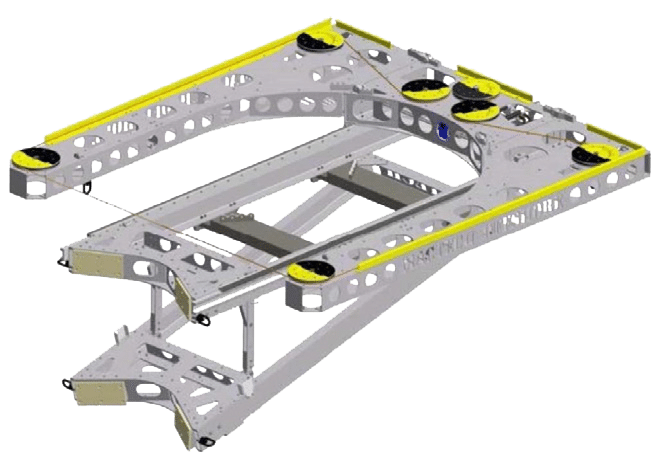 Using our highly reliable and efficient abrasive cutting technology, platform legs can be severed internally with the Internal Cutting Tool (ICT). 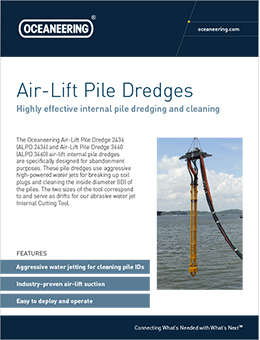 Internal pile dredges come as part of the toolbox to allow for severance of the platform legs below the mudline. 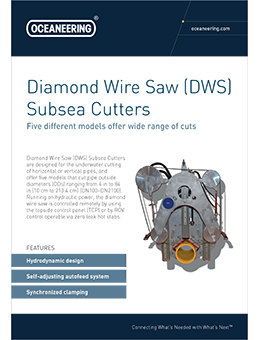 When internal cutting is not an option, either due to access or pile diameter, our diamond wire cutting solutions can be used. 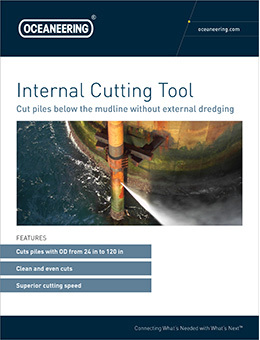 Oceaneering stocks a large inventory of standard size diamond wire saws, ranging from 4 in to 52 in in diameter. 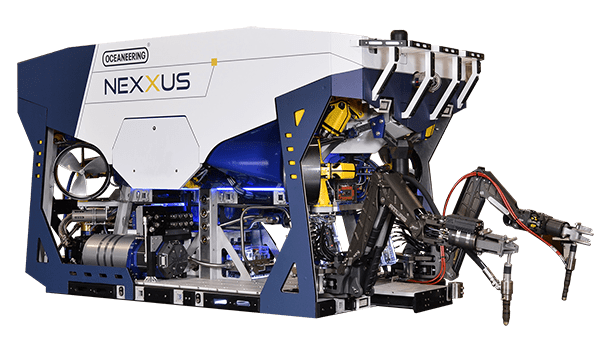 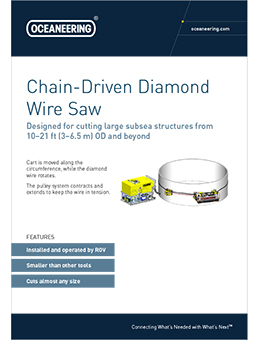 And with our new patented chain-driven diamond wire solution, we can cut sections from 2.5m outer diameter (OD) and beyond 7 m OD, only with the support of a small vessel crane for deployment and an ROV.